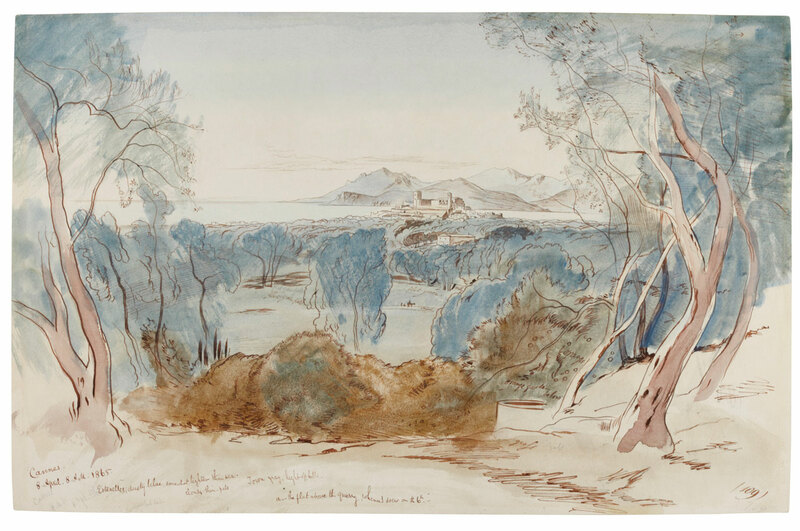 Edward Lear, Cannes and the Esterel Mountains, France. Watercolor with pen and brown ink over traces of pencil; inscribed lower left: Cannes. 8 April 8am 1865, extensively inscribed with color notes. 355 by 555 mm; 13 7/8 by 21 7/8 in. This entry was posted in Edward Lear and tagged Edward Lear, France, landscape, travel, watercolours. Bookmark the permalink.